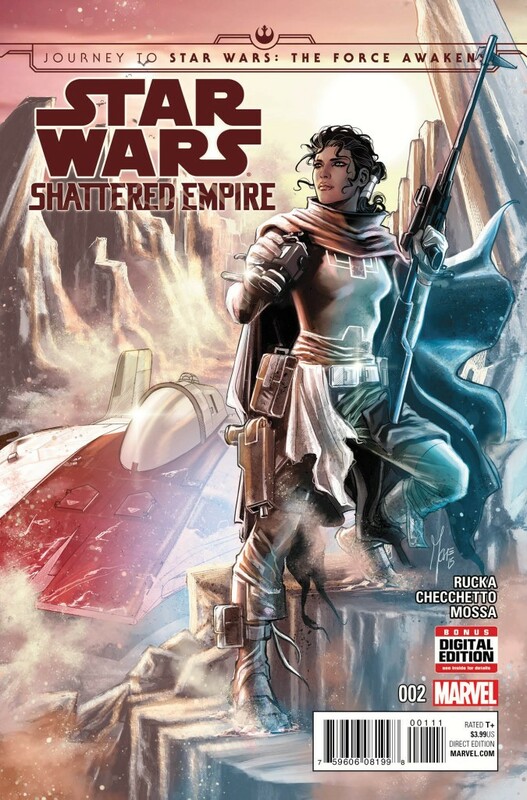 Last month, Dan Brooks of StarWars.com interviewed Greg Rucka about his upcoming four-issue mini-series Star Wars: Shattered Empire. 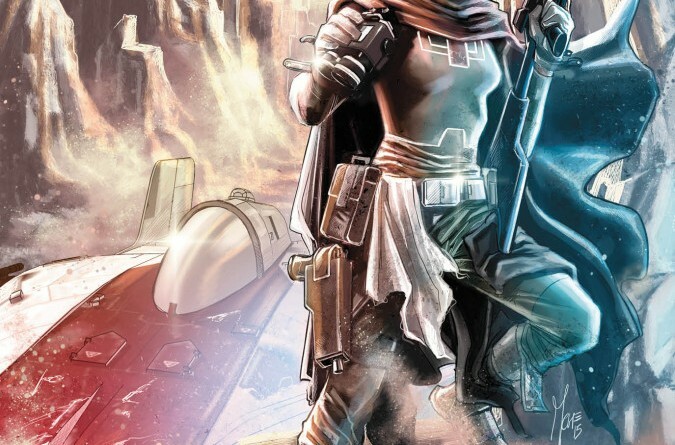 According to the article, the Marvel comic will be a “tentpole story in the Journey to the Star Wars: The Force Awakens publishing program.” Although introduced with the beautiful Phil Noto art harking back to the closing moments of Return of the Jedi, Shattered Empire “follows new characters Kes and main protagonist Shara Brey – husband and wife Rebels – as the struggle for freedom continues” after the Battle of Endor. 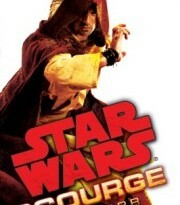 That moment beyond the presumed triumphant ending of Episode VI is the stuff of legend – and Legends, though those more familiar with the Expanded Universe often forget that a majority of Star Wars fans’ experiences ended with the second Death Star destroyed, Luke having redeemed his father, and Ewoks partying hard. A four-part comic is a simple way to get the masses reconsidering their presumptions about the state of the galaxy. Shara flies, Kes is a ground-pounder, and a very experienced one. So, they have spent more time apart than together, and they’re in the Outer Rim world where the Imperial presence is felt, and they’re hoping that they can bring an end to this. But they’re both very tired veterans. 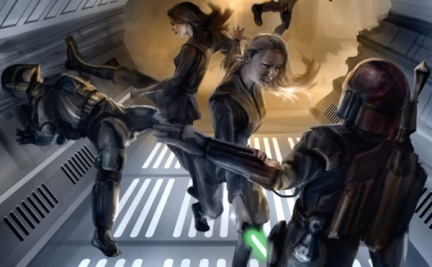 Back in 2012, I had the chance to ask fan-favorite author Aaron Allston about one of my favorite characters, Tyria Sarkin, who had been part of the roster in Wraith Squadron. I embraced Tyria for many reasons: she was a pilot, she struggled as a rather ordinary contributor to the war effort, she was a woman who could handle herself around men. She finally found love with fellow Wraith Kell Tainer, who she married, had kids with, and lived apart from as the post-Endor battle for the galaxy progressed endlessly. Allston, a fan of soap operas, seemed to be the one author in the waning years of the Expanded Universe who understood that even average characters needed milestones, that Star Wars couldn’t always be about birthrights, destiny, revenge, and death. More importantly, Allston understood that readers need milestones beyond just blowing up Death Stars or destroying inscrutable big bads such as Abeloth. 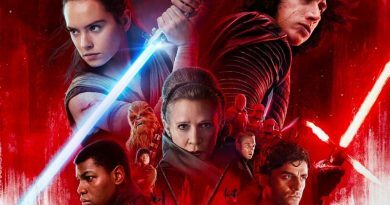 Over the years I have been critical of Star Wars’ inability to grow up, allow characters to have lives, romantic successes and failures, and ultimately to show the real impact war has on friendships and families. Even some of the more recent additions to the adult novelizations, Heir to the Jedi and Dark Disciple, handled romance with the deftness of middle-grade storytelling. Writers don’t write Men or Women or Dogs or Salmon. Writers write characters, and at our best, if we do it well and with care and with thought, we invest in those characters a spark of life, a realism and nuance that makes them believable and relatable. We seek to craft characters who inspire empathy, characters our audience will care for, and as a result, will care about what happens to them, and thus will share the journey we have charted. A story, after all, is the character’s journey. No character – no well-created character, at least – is defined by only one trait, by one aspect. Sherlock Holmes is not simply brilliant. He’s also a malfunctioning human being who, perhaps ironically, possesses a strong moral compass and such a compulsion to pursue justice that it eclipses any fealty to the law. He’s also a junkie. Harry Potter is not the scar on his forehead, nor is Matthew Scudder solely an alcoholic, nor is V.I. Warshawski just a “female” private detective. Character is biology, countless cells and processes, many of them invisible to the naked eye, yet together forming a whole. A character’s gender, like their religious upbringing or their faith, like their favorite book or food, like their sexual orientation and experiences, like their education and their childhood, is a component of character. That said, some components certainly weigh heavier than others. Green eyes don’t tend to affect character, unless that story is Big Trouble in Little China, for instance. But to define any character by gender alone makes about as much sense as defining a character by hair-color, or – ahem – judging a book by its cover. 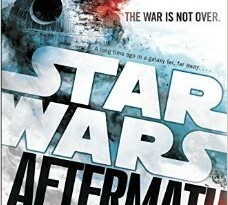 I am excited for many of the Journey to The Force Awakens books, including Chuck Wendig’s Aftermath and Claudia Gray’s Lost Stars. Marvel has been making quarterly trips to Lucasfilm and is ahead of the curve when it comes to producing interconnective canon. That’s why I believe Shattered Empire will be the most important piece of storytelling to launch in the coming weeks. On the latest episode of Fangirl Chat, Teresa Delgado and I both agreed we will be starting with Lost Stars, while we wait for Shattered Empire to roll out over the coming weeks. In the meantime, check out some of the amazing variants available for Issue #1 shared by Rucka on his Tumblr and the cover of Shattered Empire #2, where the scar over Kes’s right eye is even more noticeable, and reminds me of another favorite Expanded Universe character, Jagged Fel.